Osteoarthritis is a painful problem with the joints, especially spine, hip, hand, knee, and foot. When you have arthritis your simple everyday movements can cause trouble too, such as climbing the stairs, walking a few steps, opening a door, and even combing your hair can be hard. The simplest way to elaborate arthritis is that it is the wear and tear of the cartilage of your joints. Most commonly occurs in older people, but some young individuals may also suffer from it if they had joint injuries. Genetics and obesity may also pose as the reason behind arthritis. This type of arthritis is caused by the breakdown and eventual loss of the cartilage of one or more joints. Cartilage is a protein substance that serves as a “cushion” between the bones and the joints. It is also known as degenerative arthritis. Osteoarthritis is the most common among the 100 different types of arthritis conditions. Before the age of 45, osteoarthritis occurs more frequently in males. After age 55 years, it occurs more frequently in females. The body parts that are most commonly affected are the hands, feet, spine, and large weight-bearing joints, such as the hips and knees. Primary osteoarthritis is caused due to aging. The water content of the cartilage increases and the protein makeup of cartilage degenerate as the body ages. The constant use of the joints over the years irritates and inflames the cartilage, causing joint pain and swelling. Over the course of time, cartilage begins to degenerate. In advanced cases, a total loss of the cartilage cushion between the bones of the joints may also occurs. Friction between the bones occurs due to the loss of cartilage cushion, which leads to pain and limitation of joint mobility. 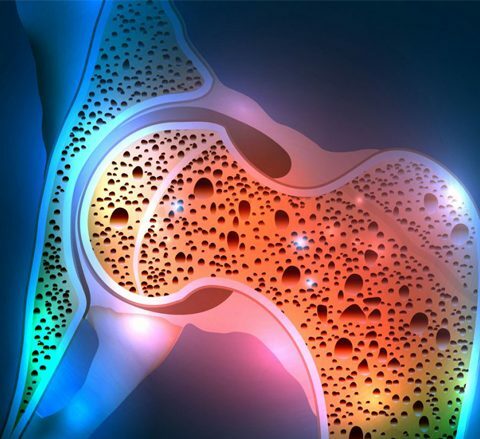 Inflammation of the cartilage can also stimulate new bone growth to form around the joints. Osteoarthritis stem cell joint treatment in India is here to help you cure your ailment. Secondary osteoarthritis is caused by obesity, repeated trauma or surgery to the joint structures, abnormal joints at birth, gout, diabetes and other hormone disorders. Obesity causes osteoarthritis by mounting the mechanical stress on the cartilage. Crystal like deposits in the cartilage causes cartilage degeneration, and osteoarthritis. Uric acid crystals cause arthritis in gout, while calcium pyrophosphate crystals cause arthritis in pseudo gout. To solve your concerns, StemCellCareIndia offers promising osteoarthritis stem cell treatment in Delhi, India. The symptoms of osteoarthritis may differ widely depending on patient to patient. 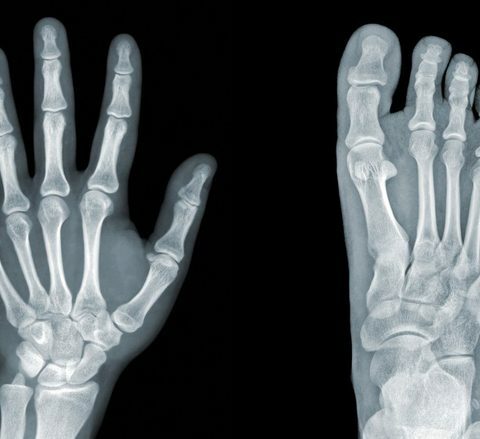 In spite of the dramatic degeneration of the joints obvious on x-rays, some people may have very few symptoms. 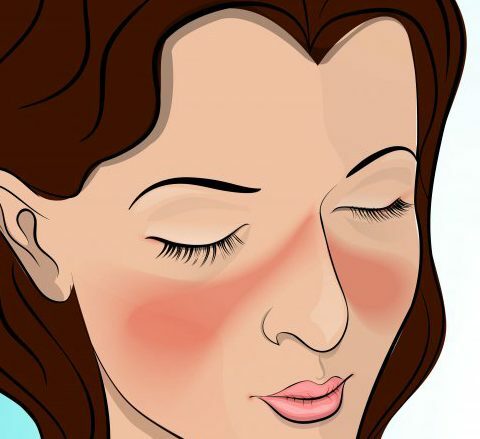 Symptoms may also be irregular and occur not at any fixed period of time. It is not unusual for patients with osteoarthritis of the hands and knees to have years of pain-free intervals between symptoms. Stem cell osteoarthritis treatment in Delhi is provided to get rid of the ailment at the earliest. Osteoarthritis of the knees is often linked with obesity or a history of frequent injury and/or joint surgery. Progressive cartilage deterioration of the knee joints can lead to malformation and outward curvature of the knees referred to as “bow legged.” Patients with osteoarthritis can develop limp as well due to the weight bearing joints (like the knees). The limping can get worse as more cartilage degenerates. To cure the limping issue, osteoarthritis stem cell therapy in Delhi is widely popular. Osteoarthritis of the fingers and the toes may have a genetic basis, and can be found in numerous women of the same family, this comes to prove that this is a genetically inherited condition. This causes the formation of hard bony enlargements of the small joints of the fingers. Osteoarthritis stem cell hospital is adept at handling aliments of the spine that causes pain in the neck or low back. Bony spurs that form along the arthritic spine can bother spinal nerves, causing severe pain, numbness, and tingling of the affected parts of the body. Latest researches have revealed that MSCs can help restore Myelin of nervous system, improving symptoms and prolonging lives. Steroids and other disease modifying drugs cannot cover all the symptoms and are aimed to manage only specific symptoms. Again, the concern of critical side effects of drugs is present. With MSC treatment, there is no such concern. Stem cell osteoarthritis treatment in Delhi provides befitting treatment for specific issue. In StemCellCareIndia, we use the unique technology of Mesenchymal stem cells extracted from Wharton’s jelly (WJ) for treating MS. WJ-MSCs offer cost-effective and pain-free collection method that may be cryogenic ally stored, and are extremely favorable for tissue engineering purposes. They might help in the three prominent ways – prevent damage, repair damage and develop new medicines. The treatment will take place in systematic steps incorporating Qualification for the treatment: Our experts will investigate your past medical history and symptoms to assess the severity of your condition. A series of tests will be performed to understand the stage of disease. As per the test results, our experts will counsel the patients for further process of the procedure. Platelet rich plasma injection or PRP injection is a very effective treatment used by many celebrities and athletes. To further enhance the success or PRP injections, many people are suggested stem cell osteoarthritis treatment, instead of other treatments or surgeries. Source Extraction: With guidance and approval from the physician, the source of extraction is decided. In general, WJ-MSCs are the most potent allogenic sources available. Stem cells from a healthy person (the donor) are transferred to the patient’s body. A bone marrow donor is considered for allogenic stem cell transplantation. A scraping from the inside of the patient and his or her sibling’s cheek is tested to determine the tissue type. An expert will examine to identify Human Leukocyte Antigens (HLAs). If the HLA on the donor cells are identical or similar, the transplant is more likely to be successful. Laboratory Processing: The extracted samples will be sent to government approved cGMP laboratory for processing. The sample manipulation will take place in a state-of-the-art facility in compliance with the ISO and GMP standards and using the latest technologies. The client will receive a third party certificate from internationally accredited lab verifying the quality. Stem Cell Osteoarthritis Treatment in Delhi Aftercare: The patients will be asked to visit the doctors for X-rays to analyze the improvement regularly. The patients will also be provided counseling. Orthopaedic is the branch of science, that specialize in injuries and diseases of the body’s contractor system together fused with bones and muscles. What is joint replacement surgery and how long does it last? Joint replacement surgery is performed to interchange broken joint with a brand new, implant is familiar to a prosthetic device. On a median, these joints have a time period of ten years, but it widely varies relying upon the usage and person’s age. What is the distinction between the sprain and strain? A strain happens once the muscle or sinew is stretched or torn whereas a sprain happens once the ligament is Stretched or torn. The nerves on our lower back acts as part of the Sciatic Nerve which runs down within the leg and controls the muscles of the leg. Neurology is the condition that will cause a radiatic pain, numbness, tingling and/or Muscle weakness within the legs. Impingement syndrome, could be a common disorder of the shoulder relating to an improper alignment of the bone and also the tissues within the higher arm. Inflammatory conditions like inflammatory diseases are closely associated with the impingement syndrome. A shoulder separation happens once the outer finish of the clavicle separates from the tip of the Shoulder blades owing to the torn ligaments. The injury happens most frequently from a blow to the Shoulders or stretched hand or arms. Although pathology verifies that osteoporosis is common in ladies, it can’t be denied that one in eight over fifty have the probabilities of suffering from osteoporosis, for instance the declined androgen levels in men also can result in accumulated Chances of the bone loss. Osteoporosis may be prevented by reaching the height bone mass, throughout the childhood and teenage years. Few habits may be incorporated so as to extend the bone mass like enough metal and Vitamin D intake by consuming milk and milk product, along with regular exercise, and also avoiding milk and milk products, staying clear from smoking and excessive alcohol consumption. Can somatic cell treatment, reverse my damage? Yes, stem cells are the pristine cells of the body, which might create to several differing types of cells upon correct signaling. These cells are exploited with success to differentiate into animal tissue, osteogenic and chondrogenic lineages, these need to be isolated from the terribly own potent sources of the body referred to as Bone Marrow and fat Tissues. They’ll be minimally manipulated and implanted back to the body to push neurodegenerations, bone reconstruction, reformation of tendons and cartilages. At the age of 27, I met with an accident and got crashed my left ankle. The internal ligaments and talus got seriously ruptured. However, as an aid to my miseries, StemCellCareIndia’s osteoarthritis stem cell therapy worked like a miracle for me.